U.S. organic farmers can now use the first magnesium chloride-based fertilizer, known as AgMag, to strengthen their crops and continue to meet the growing demand for organic products, Innovative Surface Solutions, the fertilizer's maker, said this week. The innovative fertilizer is the first of its kind to be approved for organic farms in the U.S.
"The demand for organic foods continues to grow, and farmers are looking for cost-effective solutions," Greg Baun, president and CEO of Innovative Surface Solutions, said. "We are proud to offer North American farmers access to a liquid organic fertilizer that will increase quality and yields across a range of crop types and also contains natural fungal-suppressant properties. We continue to see excellent results from our trials with Cornell University; 2015 will be the fourth year and most comprehensive trials yet with more farms participating in New York and New England." "Innovative's AgMa provides farmers with an organic option to strengthen their crops that is superior to traditional Epsom salts used by many organic farmers as a source of magnesium," Ray McDonald, general manager of Cangrow Crop Solutions and Innovative's Canadian distribution partner, said. "This magnesium chloride solution gives organic farmers access to the same benefits of this fertilizer that have been available to non-organic farmers in North America for more than 20 years." "The organic certification of Ag Mag will be great for organic farmers," John Van Heusen, operator of Sugar Creek Farm in Ossian, New York, said. "I have seen year-over-year increases in both yield and quality by using AgMag on conventional crops. 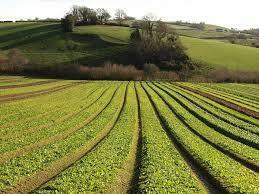 Now the same benefits can be experienced on organic farms." Want to get notified whenever we write about Innovative Surface Solutions ? Next time we write about Innovative Surface Solutions, we'll email you a link to the story. You may edit your settings or unsubscribe at any time.